There was no outcry from such governments when Kurds were being burned alive in the basements of Cizre or older women were shot down by snipers in the streets of Silopi. Likewise, international efforts to resolve the Syrian war have systematically excluded the Kurdish people, due to the interests of the Turkish state. In this environment, apart from resorting to direct action to defend their existence, what more dignified action could there be than the one chosen by Leyla Güven? Three activists in Newport began a hunger strike on Monday night and a further five will fast every day in solidarity with those carrying out hunger strikes in Turkish prisons. Imam Sis, who is one of the hunger strikers, said: “I am on an indefinite hunger strike until we get a response and they stop the isolation of Ocalan and allow his family and solicitors to visit. As part of a political genocide led by the Turkish state against the Kurdish people, the HDP’s co-mayor candidate for the Kurdish town of Cizre, Berivan Kutlu, was detained along with many other women in Sirnak. 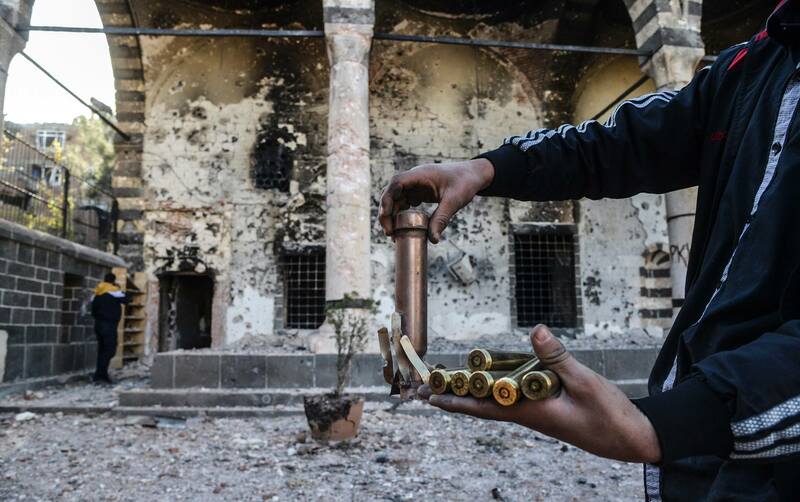 Early this morning, the Turkish police raided several houses in the center of Sirnak city and the Cizre district. As a result, the HDP’s co-mayor candidate for Cizre, Berivan Kutlu, was detained along with many other women. American feminist Gloria Steinem spoke at the rally, commending Rojava’s institutionalized gender equality and urging people to support the women’s struggle there. “We are rallying in support of the Kurdish people and their long, long tradition of a pluralist, multiethnic society, whose deep traditions and beliefs are direct democracy, preservation of the earth that long preceded words like ecology, and equality between women and men,” she said. Rete-Jin announced support for the hunger strike campaign aimed at ending the isolation of the Kurdish people’s leader, Abdullah Ocalan. Italian Women’s Solidarity Network with Kurdistan (Rete-Jin) held its annual meeting in the city of Milano on January 26-27. Member of the Jineology European Committee, Necibe Qeredaxi, participated in the meeting and evaluated the recent developments in Kurdistan including the hunger strike by Leyla Guven which is on the 82nd day, the hunger strike in prisons of North Kurdistan and Turkey, Strasbourg and Wales. “Hunger strikes led by Leyla Güven, are pushing the AKP/MHP fascism back, but isolation is still on. Our action will continue with determination until the isolation is broken.” The Paris action ended with the call of Berivan Firat, a representative of the Kurdish women’s movement in France, to join forces and act united. 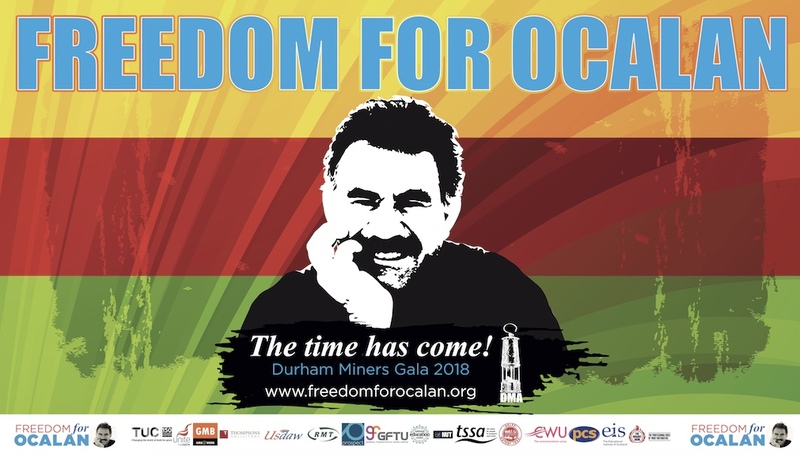 Cemal said to be sure that isolation against Öcalan will be lifted and called on all Kurdish people to join the resistance. Canê Kobanê, who spoke on behalf of Jinên Ciwanên Azad, said that the action led by Leyla Güven was the struggle of the free Kurdish women. Kobanê called on everyone to stand up and underlined that the people should be involved in the resistance process whichever way they can. “The leader of a people cannot be isolated, cannot be subjugated in prison. This is an act of humiliation and shame. This resistance will continue until isolation is ended”, said HDP MP Leyla Güven who has been on hunger strike for 81 days.